It's was last Sunday, was resting and nap after LSD in morning. Friend called and told me that he have something special for me and he is on the way to my place to pass me the thing. Initially I don't know what's it's call, but I do know that I had it before somewhere some time ago, I just can't recall when was it and where I had it and what occasion I had chance to have it. 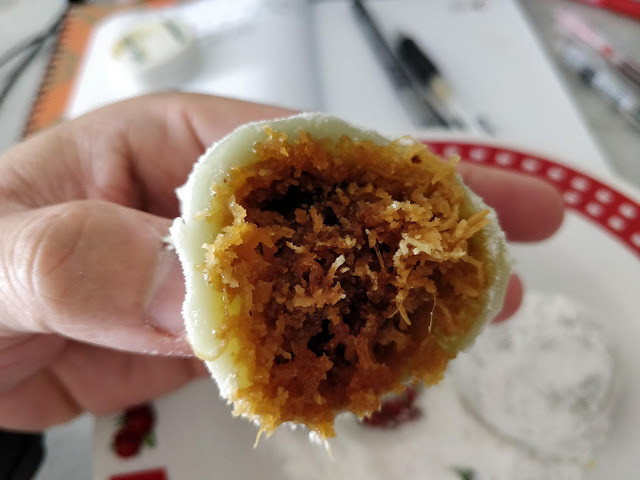 Without any expectation, I bite the Loh Mai chi and I can taste the coconut and felt it's so filling ! I was like discovered new land and I instantly falls in love with it. Too bad, it not near to my place and somewhere in Selayang. Hello, I been absent in updating here since my last updates back in July 2016. While I was trying to update and publish my unfinished blog, somehow my focus was not here. Part II - The Gears & result analysis. As shown above, im wearing SKINS compression top and tight. Both are A400 series, my trusted compression brand ! In 2016, its was my peak, where I’m actively joining CorssFit Pahlawan workouts every weeks, and I only doing LSD (Long Slow Distance) run on weekend, 10km on Saturday and 21km on Sunday. As my marathon pacing strategy, I always start slow. In the split chart, you can see that first half im quite slow and even slower and after hit 21km point, I started to speed up, and keep speed up slowly until the end! That’s all for my unfinished blog entry on SCHKM 2016! Tracking back the time, after SCHKM 2016 in January, the next marathon I ever completed was SCKLM 2016 in August. Somehow, during that period, I planned to joins 4 marathons for first half of 2017 which happened to be 10 years anniversary beside SCHKM & SCKLM. 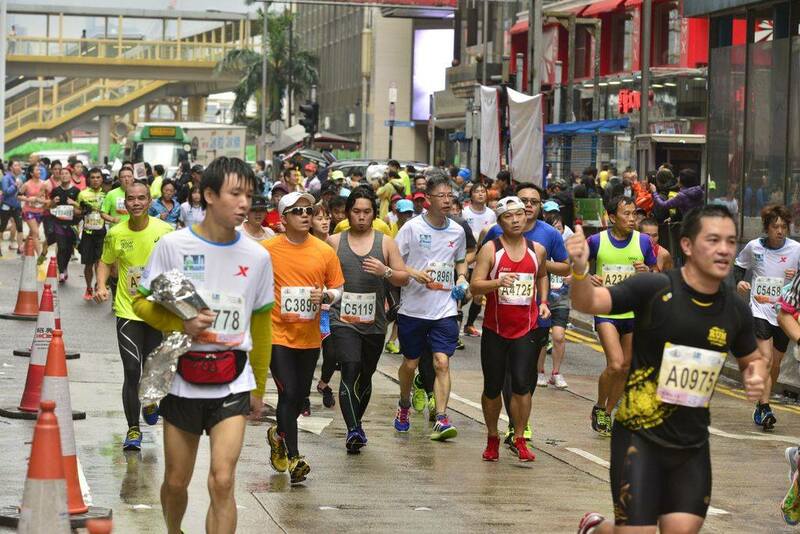 SPECTATORS' GUIDE TO Standard Chartered KL Marathon 2016. Do you have a loved one or friends that will cheer and support you during the marathon? There is nothing like a familiar face when you are digging deep during the race to boost your morale. Here I am presenting the first ever spectators’ guide to SCKLM. As per last year , the LRT will start operating at 3am and the good news is that from 3am to 6am, the LRT is free. If you are supporting your loved one or friend , you can park and ride from any of the LRT stations and send them off at The Dataran Merdeka. The flag off for the marathon is at 4 am. After the flag off, hurry back to the Masjid Jamek LRT Station and take the train to KLCC LRT Station. 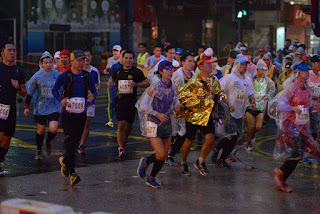 You have to hurry because the 5:30 pace group will appear at corner of Jalan Ampang turning into the KLCC in just 23mins or at 4:23am. If you think that you can't make it in 23mins, take the LRT directly to Jelatek LRT station. From Jelatek LRT Station walk in the direction to Jalan Ampang or towards Great Eastern Mall, the 5:30 pace group will go up to the Akleh Highway at 5:10am. This is at the KM 9 mark. After that go to the opposite direct of the Akleh over Jalan Jelatek.The 5:30 pace group will pass the same way towards MRR2 at 6:12 am which is Km17. After that, take the LRT just one stop to Setiawangsa LRT Station, walk towards the Duke Highway. The 5:30 pace group will pass this point under Jalan Jelatek or the KM24 mark at 7:07 am.After that , the runners will be on their own on the Duke Highway. You can either take your car and go and cheer them at the Segambut roundabout towards Jalan Duta. The 5:30 pace group will pass the roundabout at 8:18 am which is Km33. Thereafter, you can drive towards the National Museum and wait for us at the bridge towards KL Sentral at 9:12am. I believe the TPRC Running Group had a support station here in 2014. If you don’t have a car, take the LRT back to Masjid Jamek Station. Walk towards Bank Negara, the marathoners will come out from Jalan Tun Ismail and turn right into Jalan Parlimen. This is the 37.5km mark and the 5:30 pace group will appear at 8:53am. After that, you can head back to the finishing line or maybe wait for us at the Bukit Aman Tunnel, we will pass this tunnel around 9:25 am so that all us can finish the 42.195km around the city of Kuala Lumpur at 9:30am. Reproduced with permission. If you wish to know more about SCKLM 5:30 hours pacer, you can click the facebook link " Kin K Yum " to follow KK. 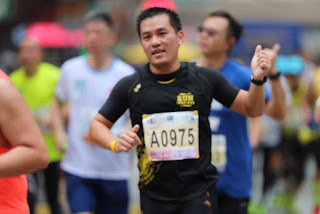 Tips to a successful completion 5:30 pace group in SCKLM with awesome pacers 2016. It's less than a month to Standard Chartered KL Marathon. Here are the tips to a successful completion with the 5:30 pace group with Kelvin Ng Ch,Azhar Omran, Ahmad Hadafi Bin Jus and I. 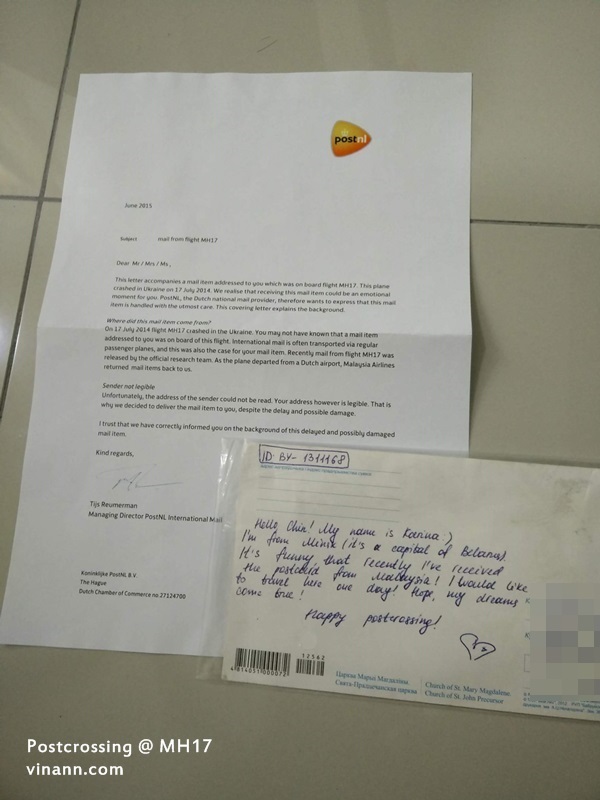 This group’s balloon is Orange Colour. This group is suited for those who are doing their FIRST Marathon. 1) Been running regularly and has completed at least three to five Half Marathons. 2) Been able to complete a half marathon in 2:30 or less. 3) Done a long run of 30km at least once prior to the marathon. For those who haven’t done it, the Newton 30km on 23rd July is very suitable for SCKLM 2016. Please note that we will stop at every drink station , we might run slightly under this pace to cater for stoppage time. However, we do target to complete the marathon in 5:30 GUN TIME. 1) From Beach Club to The Weld on Jalan P Ramlee at km 4. 2) Jelatek Ramp entrance to Akleh at km 9. 3) Ulu Klang Ramp entrance to Duke Highway. This is the halfway point at KM21. 4) Jalan Kuching Ramp to Segambut Roundabout at km 33. 5) Jalan Langgak Tunku after Tijani Condo climbing to Jalan Tun Ismail at KM 34. 7) After you pass the Parliament Building, that’s a gradual climb along the newly constructed Mahameru Highway tunnel all the way to the National Museum. 8) This is the start of the Heritage Route. Please enjoy this part of the route for you have earned it. You will pass the latest and most luxurious hotel in KL, the St Regis followed by the grand hotel, The Majestic which was first built by the Sarkies brothers who also built The Raffles in Singapore, The E&O in Penang and The Peninsula in Hong Kong. On your right , you will see the icon of Kuala Lumpur which is the old Railway Station and the old railway office built in Moorish style followed by The National Mosque. 9) The last 200m, we will pass the Bukit Aman Tunnel, Make some noise, it has the best echo effect of all tunnels in KL. Tips to prepare for the day. 1) Get sufficient sleep throughout the whole week leading to the marathon. You will be too excited to get a good night sleep on Saturday night. 2) Try to start carbo loading on Thursday. 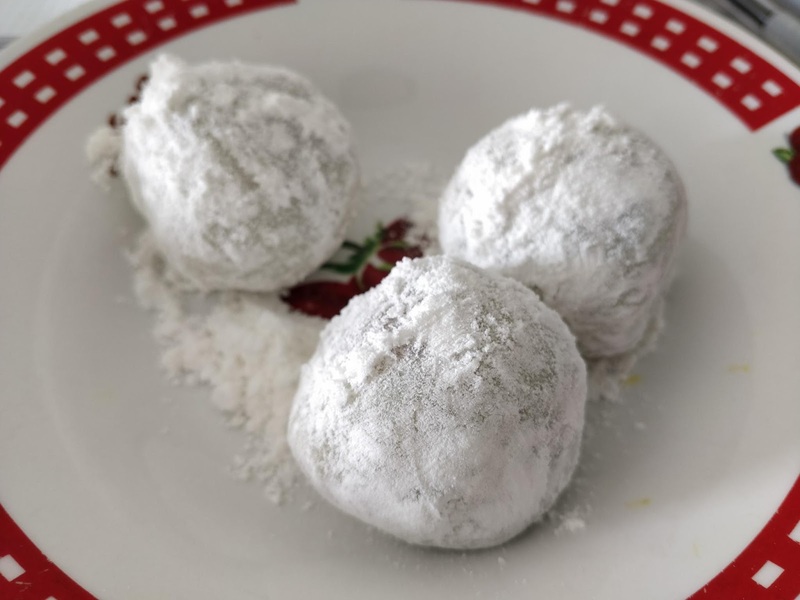 Simple carbohydrates such as Rice, Pasta, Bread etc. Avoid red meat on Saturday. It will take more energy to digest these food and it will sap the energy you need for the run. 3) Plan your nutrition and hydration properly for the marathon. You need a belt to carry these nutrition and some small change.If you feel hungry during the run, it is normal. If you feel bloated, then you are in trouble. 4) If you need to pee, check the colour. if it’s too dark, please drink more water. The urge to pee also means that you are properly hydrated. 5) Come for the 5km Friendship Run on Saturday to shake out those legs and sign up for the Pasta Party to meet new friends from all over the world. I'm hardly updating my blog as I found my new love! 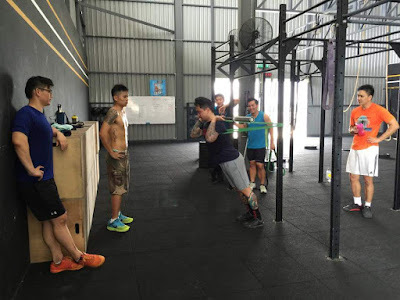 Joins Crossfit Pahlawan foundation course back in June 2015, and i know im going to love it more! So many things to learn in Crossfit. Always learning and trying new movements! A paragraph that explain what is CrossFit about. WOD - 1 hour high intensity work out of the day. Mobility - The most interesting topic to learn and pickup ! A simple mobility workouts, spending 15 minutes on it everyday and I'm enjoying the benefits! Although i still have long way to catch up! The benefit of mobility are so good that im enjoying it everyday. Improved mobility on my legs and hips helped my running, specially recently my SCHKM ! Not long ago on Saturday, 23 April 2016, CrossFit Pahlawan have its first in-house Pahlawan Challenge for members aka CrossFit Pahlawan 1 year anniversary ! It was team event where only for members. Morning session and evening session members basically are from different world and on that day we become teammates we fight we compete for the challenge! Enjoyed all 3 events held on that day! We might not be the winning team of the day but we gains friendships, experience and fun during the event! 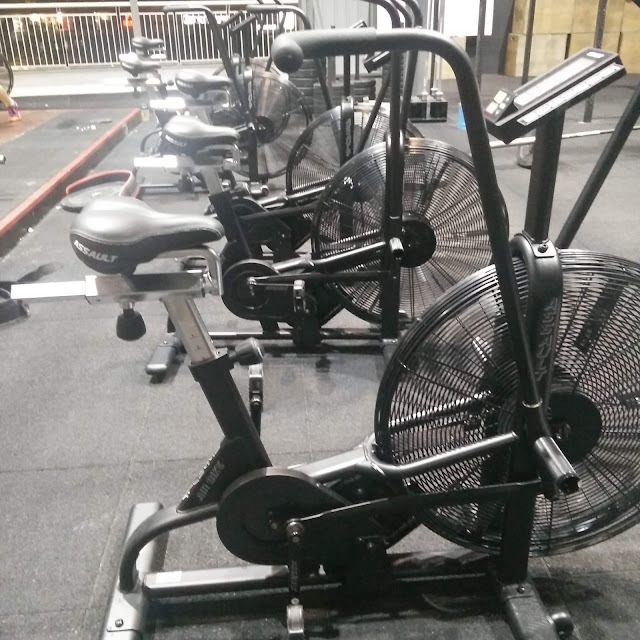 Its was one of the Monday when we were doing the WOD, these Assault Air Bikes arrived! To be honest, i have no idea what this bike are, but i just know this bike being used in Crossfit Regional event! It must be good! Its been days, if not weeks, if not month these bikes are available for member use at CrossFit Pahlawan! Assault AirBike is fan bike, the resistant are depend on individual. The harder you pedal, the more resistant! The Assault Airbike resistant is way higher than my fluid trainer, a simple ride of 1 minutes are like in hell but can not compare directly for both. 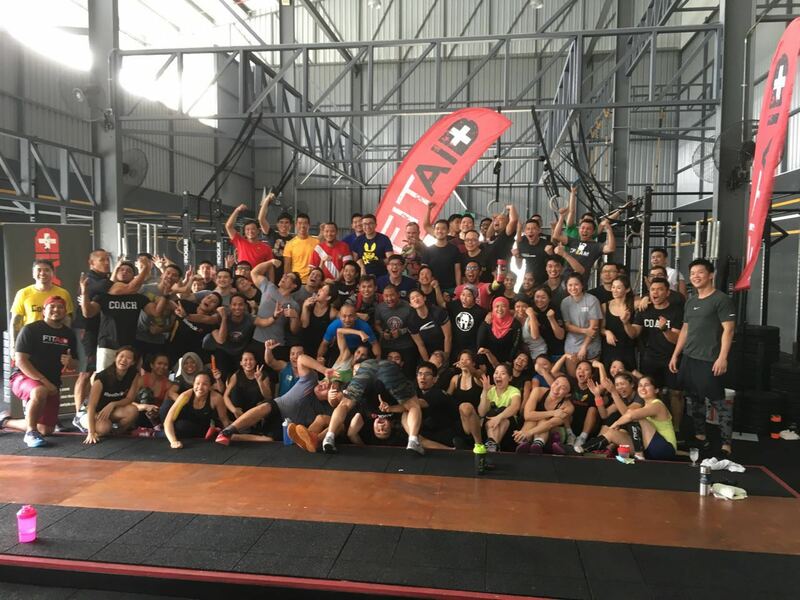 Soon its going to be my 1st year anniversary as CrossFitter with CrossFit Pahlawan ! Its was a heartbreaking Friday morning when i decided to check my mail box in the morning before going to work. 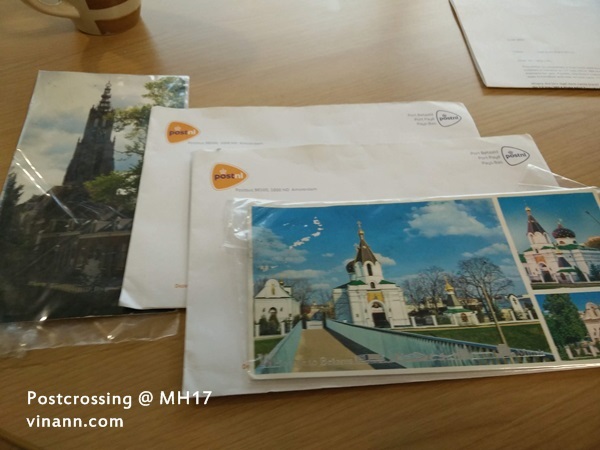 I saw these two mails from PostNL, which consists of my Postcrossing Project postcard addressed to me sent 1 year ago! 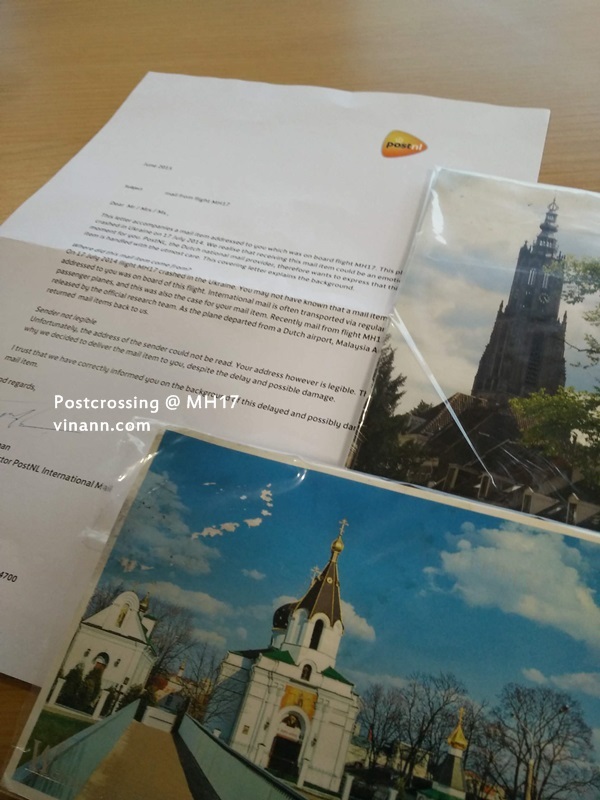 These two postcards were in the flight of #MH17 on the way to Malaysia on 14 July 2014. 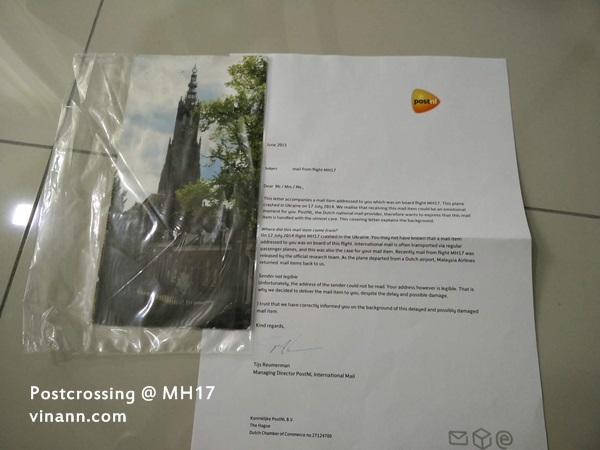 PostNL explained the details of the mail. Managed to register NL-257484 !!! 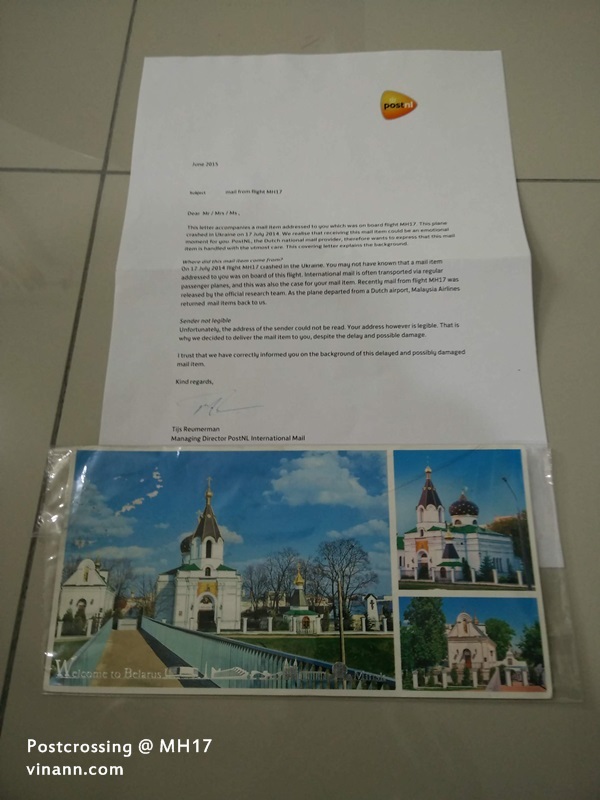 Tried to register this BY-1311168 postcard but failed as postcard sent over 1 year can not be register! Hope the sender of this postcard read my message! I got your postcard!!! 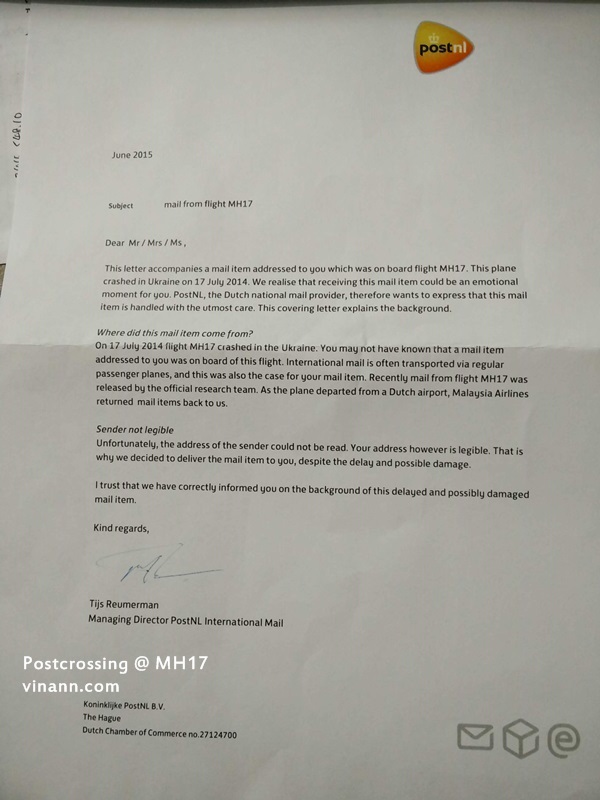 Updates: The contain from PostNL letter.